The Stomp Pad that never wears out! 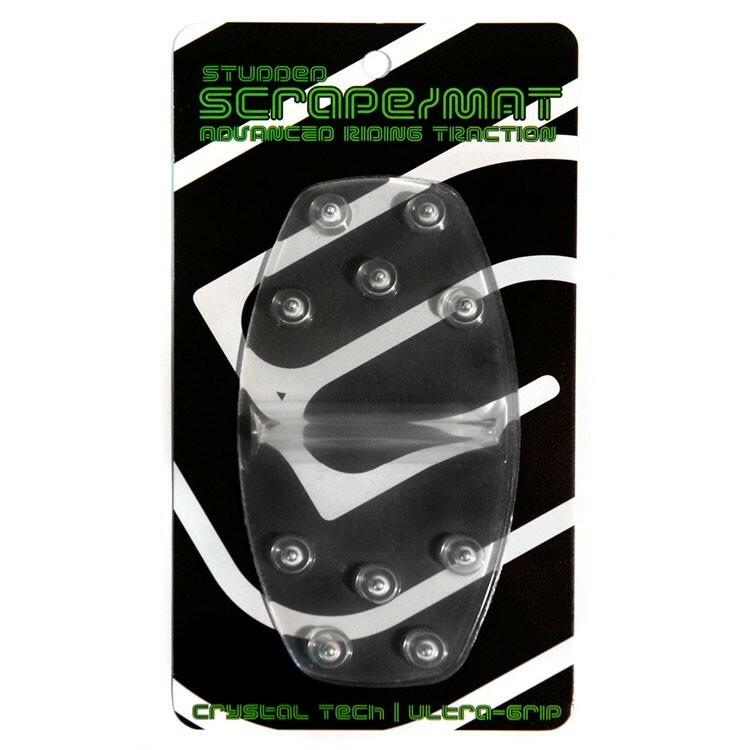 The Grayne Metal Studded Scraper Stomp Pad is made with superior adhesives that are specifically designed to function in snowboarding conditions! That means your stomp pad won't be falling off any time soon and the aluminum studs mean this stomp pad will outlast even your snowboard! Grayne also added a scraper to the center of this stomp to help removed caked on snow from the bottom of you boot. Riders of rear entry bindings like Flow and Gnu know this is an absolute necessity! When you pair all that with the “Crystal Tech” to keep the stomp pad completely see through to prevent obscuring your board graphic, you get a stomp pad that is much more than a simple traction device!